Mother’s Day is just around the corner. 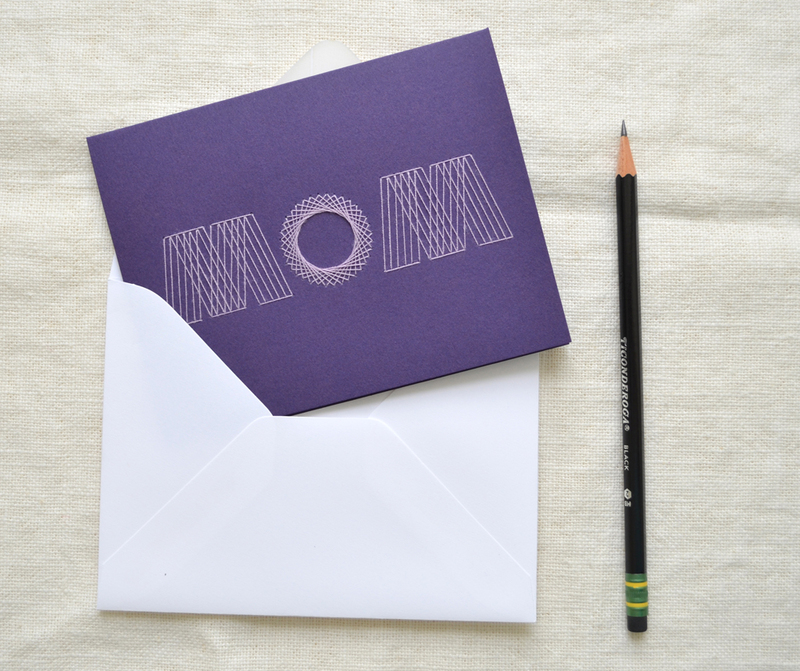 If you need a greeting for Mom, Koto has some options for you! Above you see a favorite from last year. I also did another color combination of the mother and baby owl card. There are also two brand new designs. Above, Mom typography embroidered over a petaled pattern. Available in blue on black, magenta on black and magenta on white. Finally a simple design with a straightforward greeting and a field with flowers. You can see the complete selection of cards for Mother’s and Father’s Days available here.